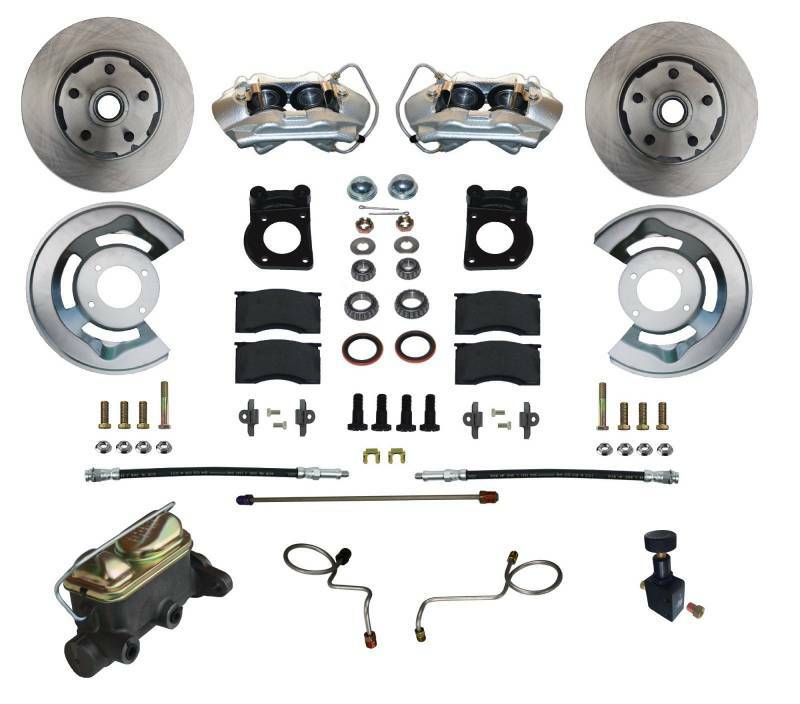 The 1967 Mustang front disc brake conversion kit has everything you need to mount factory style 4 piston disc brakes to the original 5 Lug drum brake spindles currently on your vehicle. 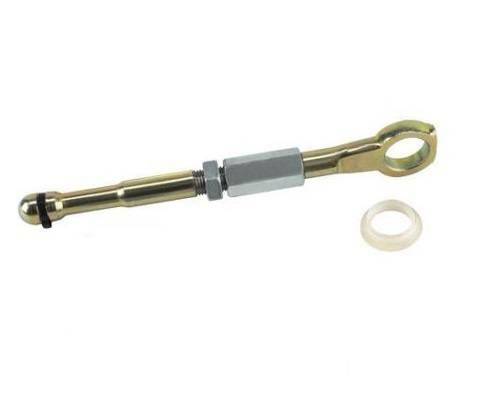 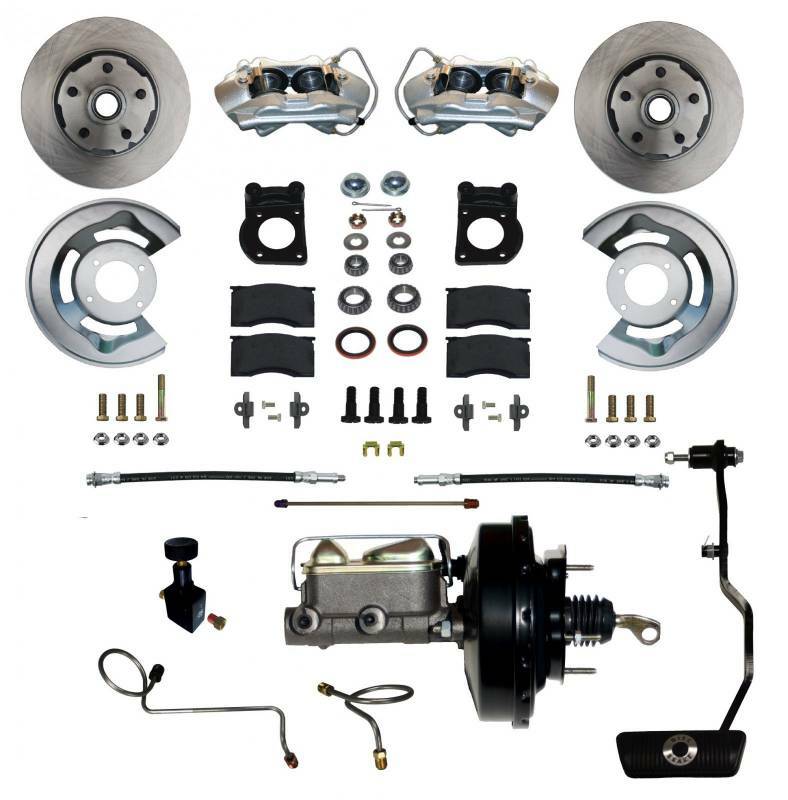 The 1967 Mustang front disc brake conversion kit is an easy installation mounting to all factory mounting locations. 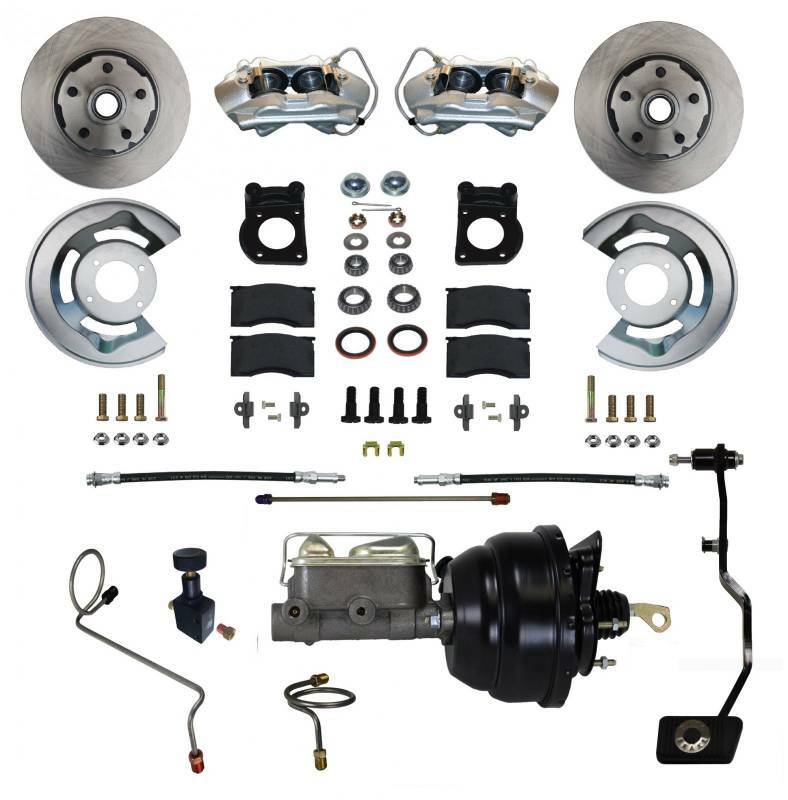 All components in this 1967 Mustang front disc brake conversion kit are new high quality, precision machined products. 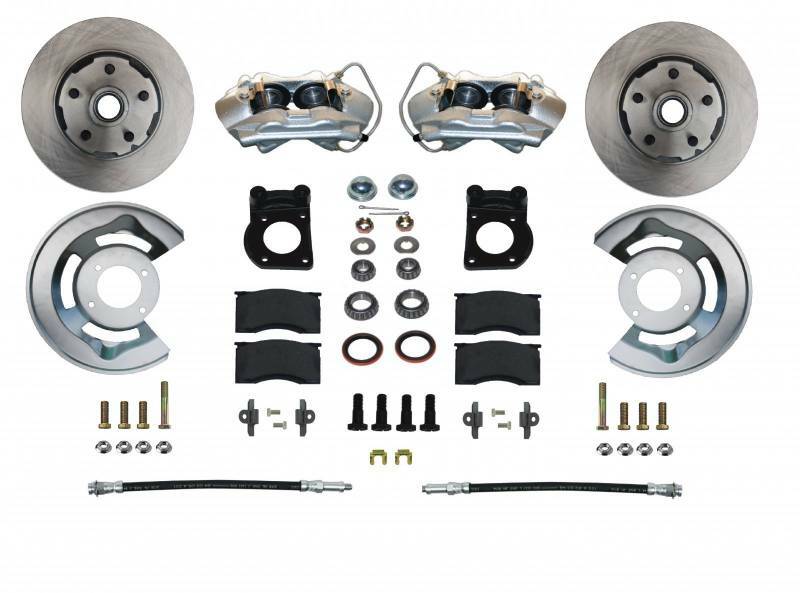 A great 1967 Mustang disc brake conversion kit with a factory look and easy installation!